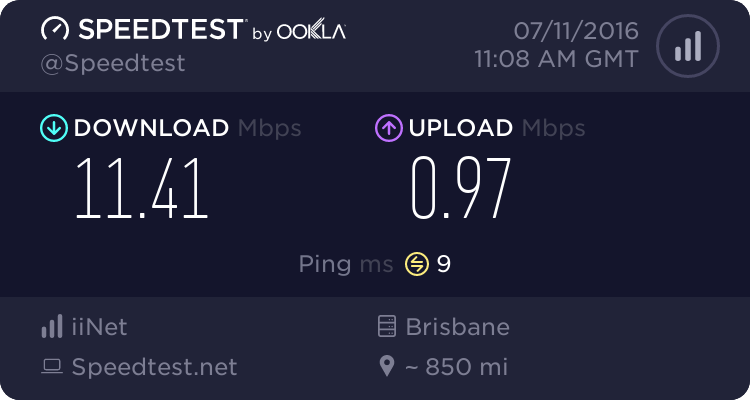 I quite clearly don’t have 25Mbps but have to go through the motions to prove that I can only get 11Mbps at most on my NBN connection. There was no way I was going to do this by hand 3 times a day, for 3 days on two computers as requested (instructions here: https://iihelp.iinet.net.au/support/node/14495) so I wrote a little batch script to do most of the work for me. I am by no means a batch script expert so this is a bit quick and dirty. Feel free to create a PR against this script or fork it if you can do it better.